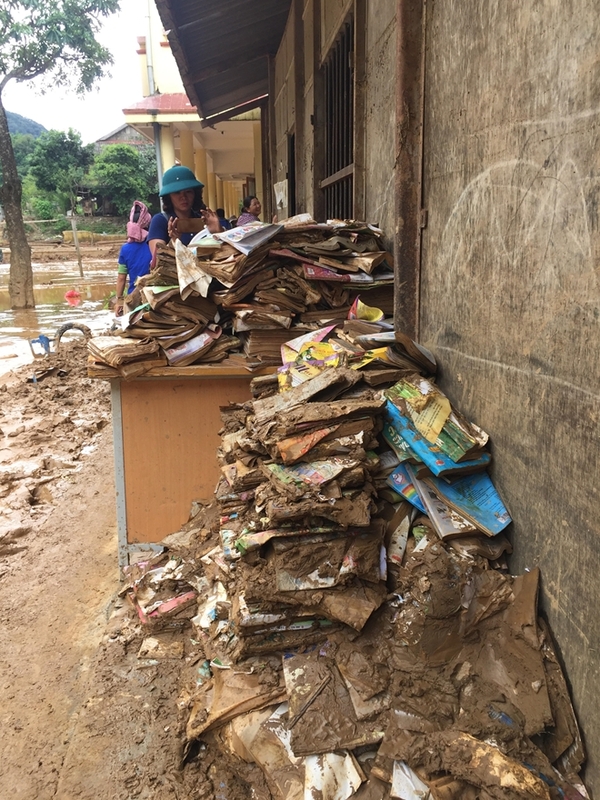 PSNews - As soon as the floods went away, the Mai Son District Police (Son La province) came to damaged primary and secondary schools in Na Ot commune to help local teachers and students clean up facilitates to soon resume schooling. Recent heavy rains together with quick releases of huge volumes of water from hydropower reservoirs have badly damaged hundreds of schools in northern provinces and preventing teachers and students from going to school, and leaving negative impacts on people’s lives and production. As soon as the floods went away, the Mai Son District Police (Son la province) came to damaged primary and secondary schools in Na Ot commune to help local teachers and students clean up facilitates to soon resume schooling. Torrential rains in recent days have caused serious floods and landslides in several northwestern mountainous localities, causing heavy losses in both human life and properties. In Son La province, floods killed one local and injured two others, while affecting 1,521 houses, including 37 completely destroyed. Nearly 615 hectares of rice and crop farm have been submerged in floodwater, while 11 schools in Mai Son, Van Ho, Muong La, Quynh Nhai, Song Ma and Sop Cop districts were damaged. So far, the localities are working hard to support affected locals and overcome the consequences of the disasters.